ASPI recommends: Can intervention work? Throughout the last twenty years, foreign interventions have been staged in the Balkans, East Timor, Afghanistan, and Iraq. 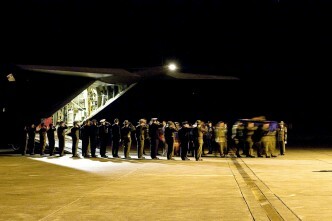 Each time convoys of diplomats, consultants, contractors, and aid workers arrive hard on the military’s tracks. Pursuing noble aims yet swamping local societies, the international community’s interventionist projects have been simultaneously courageous, selfless and egotistical. The international community, convinced that all problems have solutions and that solutions are often formulaic, adopted a mantra: that the keys to success lie within the reach of Western governments, the trick being to equip foreign ‘experts’ with the data, resources, and authority necessary to achieve ‘progress’. 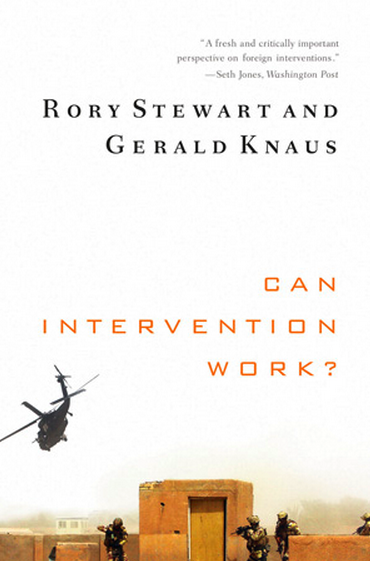 The intervener’s mantra provides an important target for the broadside fired by Rory Stewart and Gerald Knaus in their recent book: Can Intervention Work? The book consists of two essays, the first by Stewart and the second by Knaus, with a long but crisp co-authored introduction. The authors accept that certain circumstances—genocide, for example—can impose a form of duty on the ‘international community’ and that the doctrine of national sovereignty need not confer total immunity to the rulers of states. But, rather than debating whether or not particular interventions are just, the book is pragmatic, aiming ‘to understand…what makes interventions work or fail’. The authors provides common-sense advice few would dispute but as they argue the challenge is ‘not to lay out the principles; it is to convey just how rarely they are implemented and why, how much damage has been done through ignoring them, and how difficult they are to uphold’. 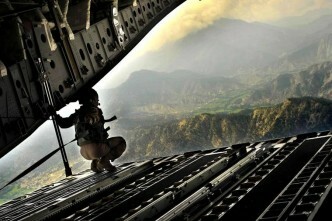 Stewart focuses on Afghanistan; Knaus focuses on Bosnia. The former writes about failure, a failure to acknowledge failure, and the dangerous belief that failure isn’t an option; the latter about a triumph misdescribed and misunderstood. Although Stewart’s essay is printed before Knaus’, one should read them in reverse, a method that allows one to trace the ideological contours of the age of intervention that appears to have culminated in Obama’s 2009 decision to launch an Afghan ‘surge’. Knaus believes that the intervention in Bosnia produced remarkably good outcomes. The problem, he argues, has been that the sources of success were misdiagnosed, received wisdom being that the Bosnian intervention worked because the international community struck aggressively in the ‘golden hour’, sweeping aside obstructive ‘spoilers’ and ‘warlords’ intent on blocking ‘progress’. According to that theory, expressed succinctly in Paddy Ashdown’s ‘seven pillars of peace-making’, democracy temporarily took a back seat to an enlightened foreign despotism intended to promote ‘good governance’, the ‘rule of law’, and a ‘free-market’ economy. Given a ‘whip and some cash’, liberal imperialists argued, the international community could gradually transform conflict riven societies into viable, peaceful, and democratic states. Inspired by the apparent success of the intervention in Bosnia, the theory of ‘liberal imperialism’ guided Ambassador Paul Bremer’s strategy in Iraq. The irony, Knaus argues, is that Bosnia had never been a ‘liberal imperialist’ paradise. The international community’s important achievements—the return of hundreds of thousands of refugees, the conviction of senior war criminals, and the development of a political system unlikely to herald another war—didn’t result from bold, decisive, and charismatic international leadership, let alone enlightened despotism. Rather, they depended on pragmatic bargaining, endless negotiation, the careful weighing of risks, and respectful support for local initiatives. Iraq therefore provided the first test for ‘liberal imperialism’, and the experiment failed. Trapped in a horrific blood bath, American officials latched onto another theory of intervention, reviving the ambitious ‘nation-building’ strategy attempted in Vietnam. The ‘planning’ school put to one side complicated political and contextual questions, aiming to make intervention a pseudo-science. 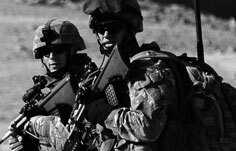 Arguing that successful intervention depended on methodical analysis of the relationship between ends and means, the planners argued that attention should focus on ‘trade-offs’, that is, the balance between inputs (manpower, money, and equipment) and outputs (security, democracy, and economic growth). Social scientists were deployed to search for pseudo-universal ‘lessons’ from historical experience. Strategists began drawing up plans in accordance with ‘best practice’. The planners recognised that ambitious interventions were likely to be long and expensive, but the logic of their argument was that a failing intervention could be ‘fixed’ by re-balancing means and ends, pouring in inputs, or ‘surging’. The planners put to one side the fact interventions are unpredictable and impossible to control, instead asserting a direct causal link between inputs and stability. By so doing, the ‘surge’ in Iraq helped restore a semblance of order but, as Stewart argues, similar ideas failed miserably when later applied to Afghanistan—which is the subject of my post tomorrow. William Clegg is an ASPI alumnus and is currently a graduate student in history at the University of Oxford. This review originally appeared in the Balliol College publication Floreat Domus.